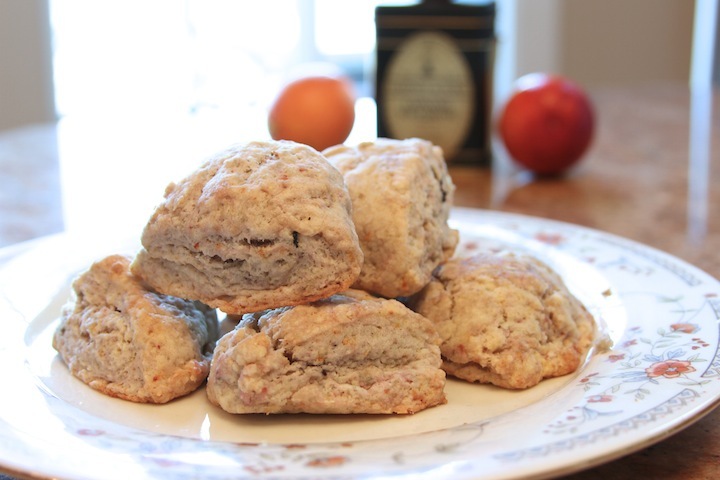 Before the season is over I swore I would make Blood Orange Scones. Today was the day! 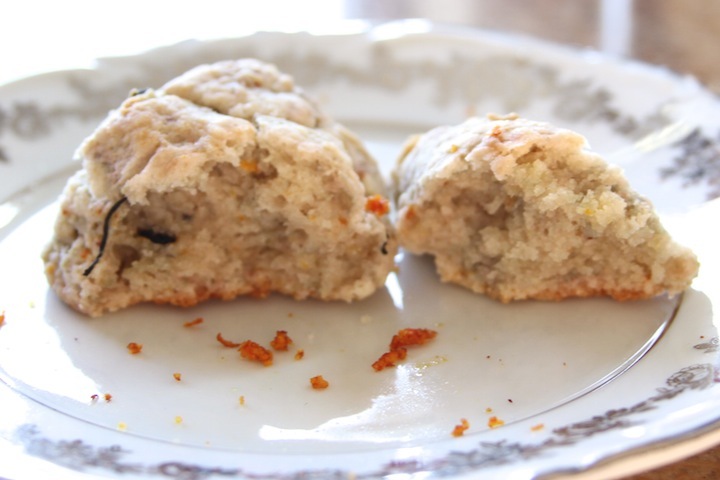 As I was steeping a cup of Lapsang Souchong last night, I thought it would be great to add into a scone recipe. So I saved my tea leaves, and added them into my scones this morning. Lapsang Souchong is a black tea that has a deep, smoky flavor when brewed. It is great to use in a rub or in a savory sauce. Add some into brownies to enhance the chocolatey flavor. Either way you use it, I’m sure it will be delicious! I also thought it would be appropriate to make them, as I am currently reading Laura Child’s Blood Orange Brewing! A tea shop mystery series brewing with murders, clues and tea! 1. Combine dry ingredients into a bowl. 2. Add the tea leaves. 3. Grate the butter into the flour mixture and toss until the butter in incorporated. 4. Add the zest, juice and cream and fold together with a rubber spatula. 5. Once everything holds together in a dough, form it into a log and cut into squares, then into triangles. 6. Place onto parchment lined baked sheet and bake for 12-16 minutes. Serve with honey or clotted cream.